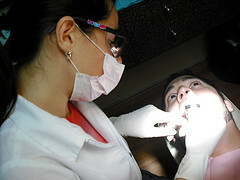 Gingivitis is inflammation of the gums. It may sometimes occur as a result of infection or ill-fitting dentures, but most usually it is caused by an accumulation of plaque and impacted food around and under the gums. Left untreated, gingivitis may lead to loosening of the affected teeth (periodontists) through damage to the membrane securing it. ECHINACEA and GOLDEN SEAL: This product from Nature's Sunshine promotes immune defense and creates an unfriendly environment for bacteria. 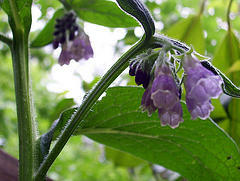 COMFREY MOUTHWASH: Will help heal mouth abrasions and reduce swelling and bleeding(see picture on right). Peppermint Oil: Put a few drops in a cup of warm water. (Can either drink or use as a mouth wash) Contains astringent compounds which shrink inflamed tissues caused by gingivitis. 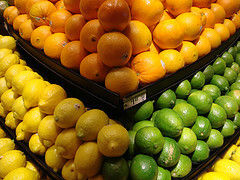 Vitamin C: Important for the production of collagen. ANTIOXIDANTS:Key nutrients needed by the body to neutralize free radicals and helps prevent cellular damage. Antioxidants are a natural defense against free radicals. They scavenge them, “mopping up” free radicals before they have a chance to harm cells. 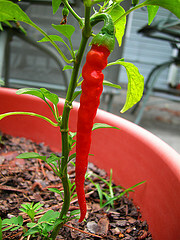 CAYENNE: Sprinkle a little Cayenne powder on the toothpaste on your toothbrush daily to fight/prevent gum disease. There is a warm sensation in your mouth as you brush your teeth, but it soon disappears after rinsing. Start with very small amounts to allow the body some time to build up a tolerance. PEACH PIT TEA: Useful for mouth infections. Rinse your mouth with the hot tea 3 times a day.